Meet George Jetson! And his personal assistant, Alexa! The integrated home is a natural extension of busy lives. 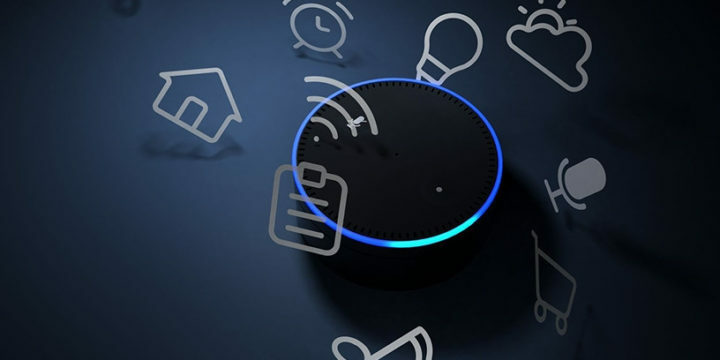 “Alexa, remind me to pick up my child at 3:00.” Or, “Alexa, remind me there is a Coke in the freezer.” We all live busy lives, and Alexa (along with other smart home devices) is an amazing resource to keep things from falling through the cracks. This includes gifts to an institution. October is a reminder that the holiday season (and the end of the calendar year) will soon be upon us. Holiday parties, photos with the kids, shopping and, of course, last-minute house guests. This busy season collides directly with end-of-year campaigns many institutions rely upon. The result is alumni who receive a calendar year-end mailer (amongst all the other mail), and put it down because a screaming child doesn’t want to wear that outfit, only to think about it two weeks later but now cannot find the mailer so they don’t follow through. There is a better way! Enter smart home technology and fundraising. The alum receives the calendar year-end solicitation and says, “Alexa, give $50 to my institution” before going to bribe the child with candy so they wear the outfit anyways (enter any number of household distractions). Talk about donor-centric! We write often about the new advantage in fundraising: timeliness. The ability to deliver the right message to the right person at the right time. Just as behavioral engagement becomes standard in advancement, great fundraisers will see the integrated home as a timely fulfillment vehicle. One that gives them the advantage by allowing busy donors to make a gift in seconds when minutes count. To learn more about smart home technology and fundraising, go to https://pay.amazon.com/us/charity.